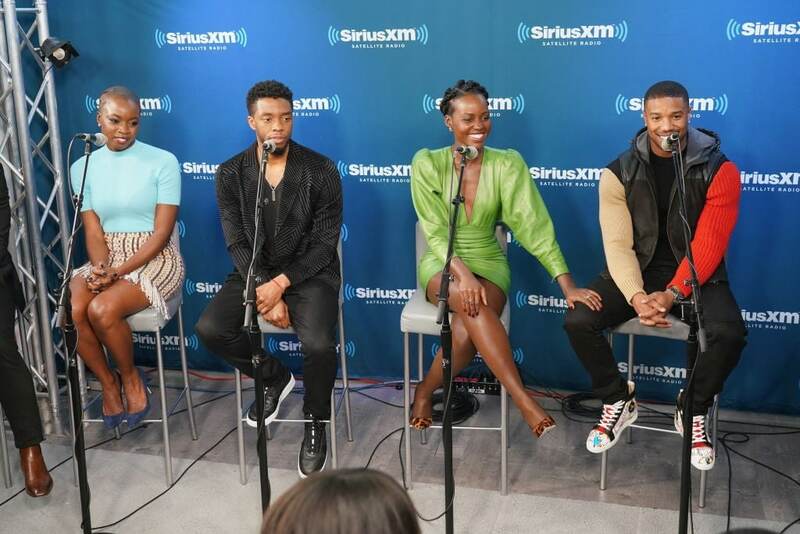 "We know that if we want to live in a world that looks more like Wakanda, the first step is you invest in women and girls," Danai Gurira said, according to The Hollywood Reporter. Black Panther stars Chadwick Boseman, Lupita Nyong’o and Danai Gurira along with pop star Ke$ha, presented $1.8 million in college scholarships to aspiring female students on Wednesday in Los Angeles. “We know that if we want to live in a world that looks more like Wakanda, the first step is you invest in women and girls,” Gurira said during The Hollywood Reporter‘s 2018 Women in Entertainment event. The trio was on hand to present a new scholarship called The Black Panther Scholarship, which was created by Walt Disney Studios. The scholarship, which is worth $250,000 to Loyola Marymount University, was presented through the Women in Entertainment Mentorship Program to 17-year-old Kalis Coleman from Inglewood, California, who plans to become a pediatric dermatologist. Ke$ha was also on hand to present more scholarships for a total of $1.8 million. The scholarships were awarded to L.A. teens from underserved communities who are currently taking part in the Women in Entertainment Mentorship Program. Each of the 18 girls will receive a $10,000 scholarship to attend the university of their choice, with six receiving full-ride scholarships worth more than $250,000 each to attend Loyola Marymount University. American Airlines also gifted each graduating mentee 50,000 AAdvantage miles to help them with travel from their hometowns to their future universities, while SAG-AFTRA also gifted mentees with backpacks filled with supplies to help set them up for success when they head to college.